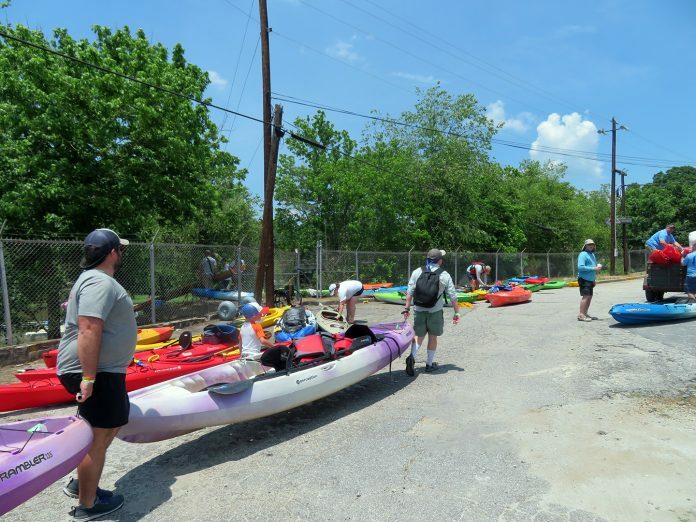 Participants in the Saluda River Rally held over the weekend get ready to put their kayaks in the river. Event launching and camping were at M. J. “Dolly” Cooper Park in Powdersville and the float trips ended at either the Piedmont Dam or the Timmerman Jr. Kayak Launch Facility in Pelzer. The 9 or 15 mile paddle trip included shuttle service from the landing sites back to Dolly Cooper Park.